Join Jackie Chase on the adventure of a lifetime. In a few days, she will board the Peninsular & Oriental Steam Navigation Company (P&OSNCO) Aurora for a four-month cruise around the world! She will be journaling, so please check back often and share the adventure! 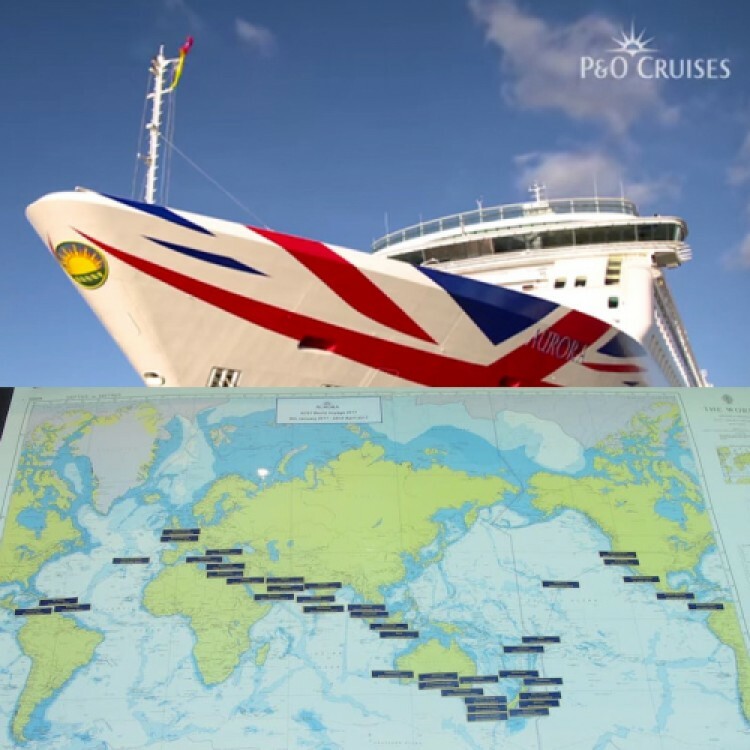 P & O will celebrate 180 years of history in January 2017, and the circumnavigation will be inspired by the areas once part of, or home to traders with, the British Empire. This journey will retrace ports of call served by this cruise line as she began carrying Her/His Majesty’s mail long ago.